Staff retention for employees with disabilities is 72% higher than their non-disabled co-workers. Check out our CAES Candidate profiles and find your next dedicated employee! Dozens of Calgary businesses rely on CAES each year and we are deeply committed to our business partnerships. 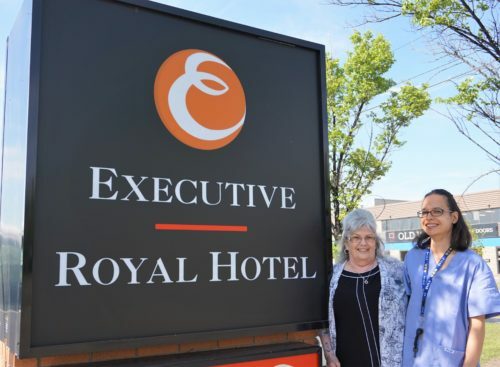 See which local businesses are creating inclusive workplaces in the Calgary business community. Want to increase your workplace diversity but not sure where to start? Check out our Business Partner Action Plan and get started today! CAES is an outcomes driven employment placement service which provides Pre-screened Candidates, Inclusive Recruitment & Onboarding Support, and Post-placement consulting; at no cost to the employer. CAES is ‘on-call’ to provide long term support to the employers we serve. Your recruitment and retention success is our number one goal. Did you know that 46% of businesses hiring decisions fail in the first year? CAES can help employers significantly improve your recruitment and retention success. CAES provides Inclusive Recruitment & Onboarding Support, Pre-screened Candidates and Post-placement consulting. Since 1998 CAES has partnered with inclusive employers in Calgary to help fill their personnel and labour needs. Dozens of Calgary businesses rely on CAES each year and we are deeply committed to our business partnerships. CAES works with the Calgary business community to increase their capacity for workplace diversity and inclusion. CAES is proud to represent ‘work-ready’ job-seekers to the Calgary business community. Our CAES Candidates are pre-screened and we strive to ensure job-seekers connect with their primary job targets in order to ensure long term success for our Candidates and your business. Alexis is currently seeking a part-time child care assistant position. She has extensive experience working with children from a variety of age groups. She is very passionate about supporting the growth and development of children through music, arts and sports. In her free time, Alexis leads a very active lifestyle and engages in a variety of sports, including floor hockey, basketball and dance. 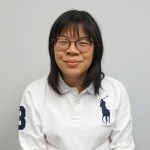 To connect with Alexis, please contact Diversity and Engagement Consultant, Bernadette Lumugdang at (587) 224-1145. How can diversity help your organization?